Independent analysis of the top 25 insurance companies in the US. 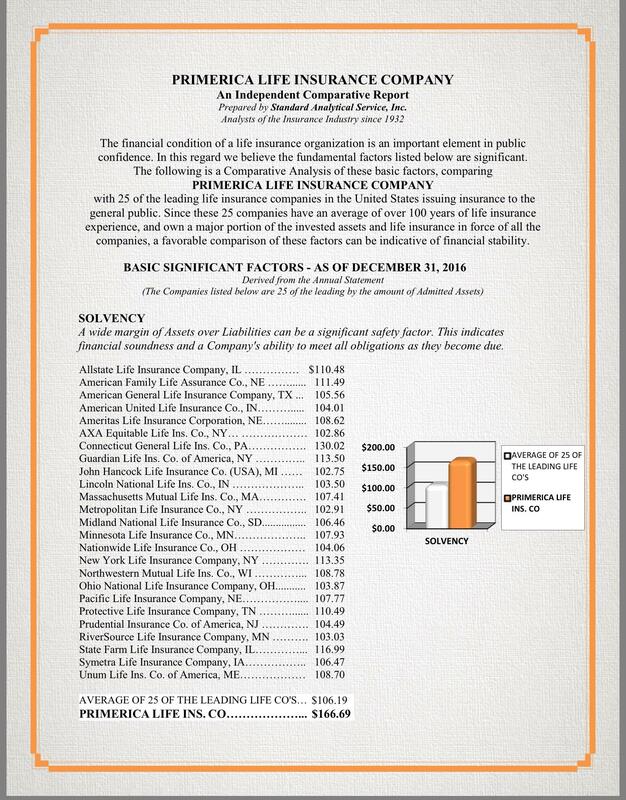 Primerica ranks #1 overall in financial stability and solvency (Page 1). 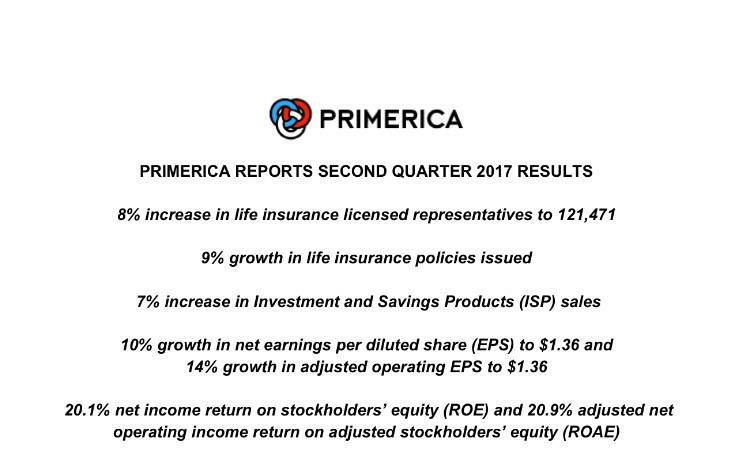 Primerica reports 2nd quarter earnings. 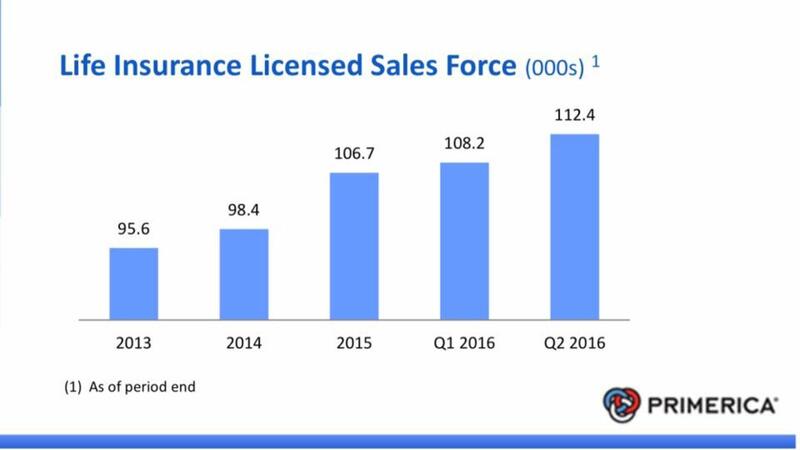 Insurance up 9%, licensed agents increased by 8% to 121,471. A great way to think about income protection. 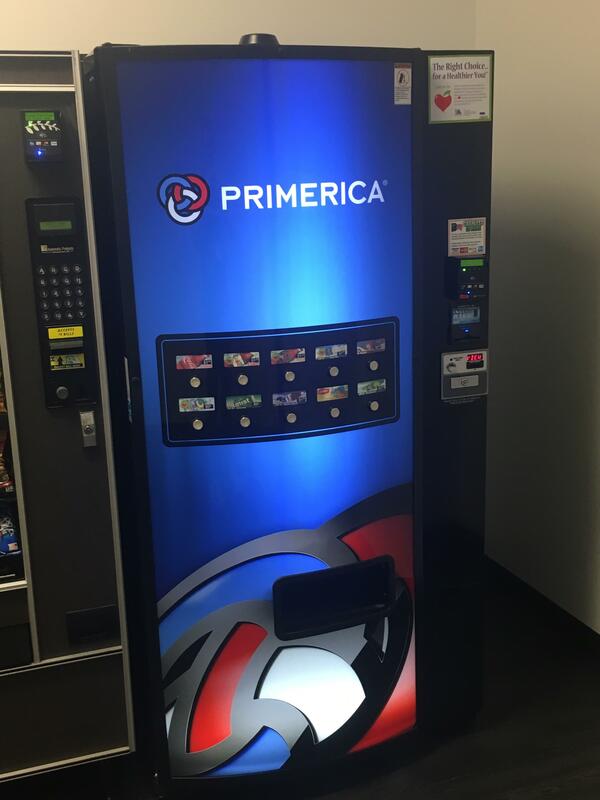 Primerica has over 4,700 offices in North America. The life insurance industry is under investigation for not paying claims. 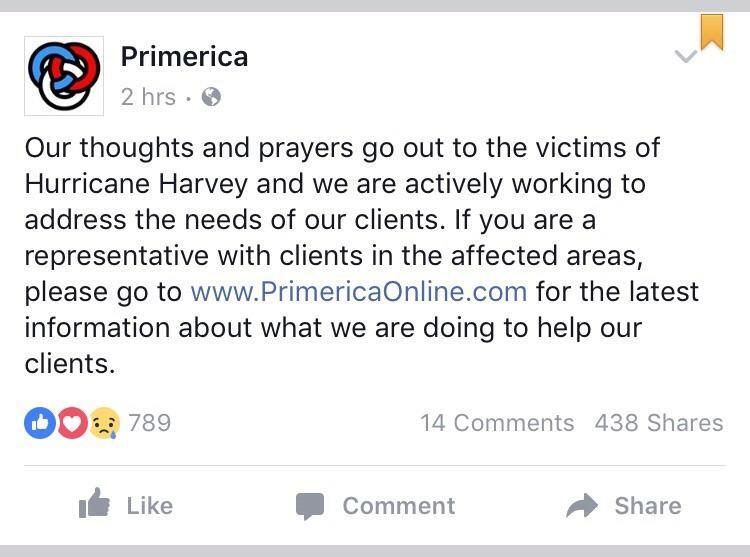 Primerica is among the only insurance companies not being investigated. 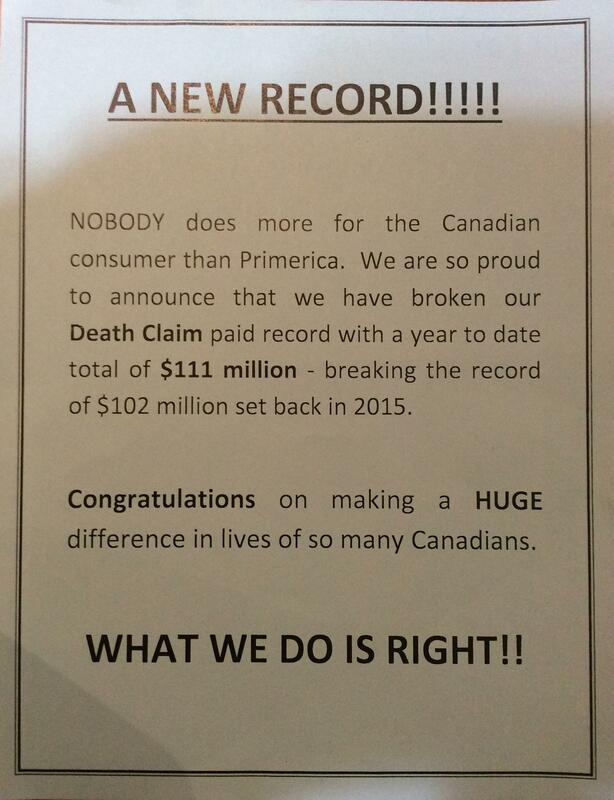 Primerica Canada pays out a record $111 million in claims so far in 2016. 94% of Primerica claims are paid within 14 days. 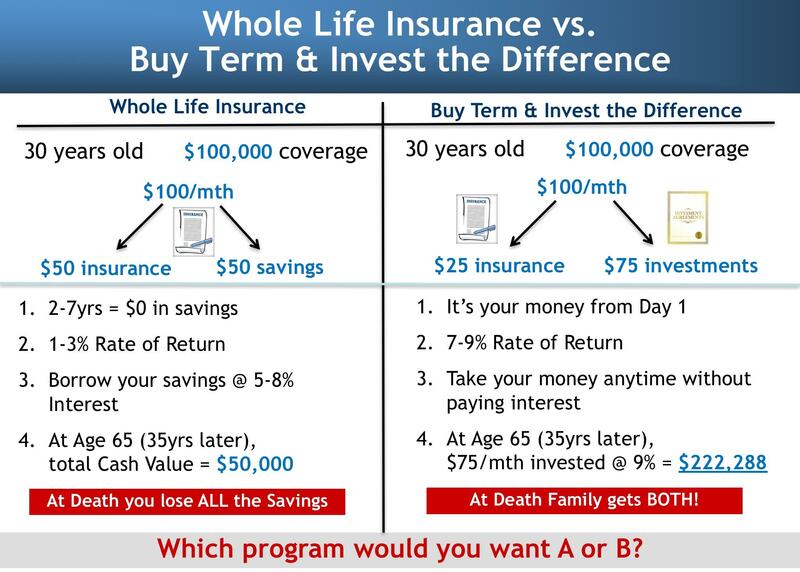 This is a fantastic way to show clients buy term, invest the difference instead of buying a whole life universal life policy. 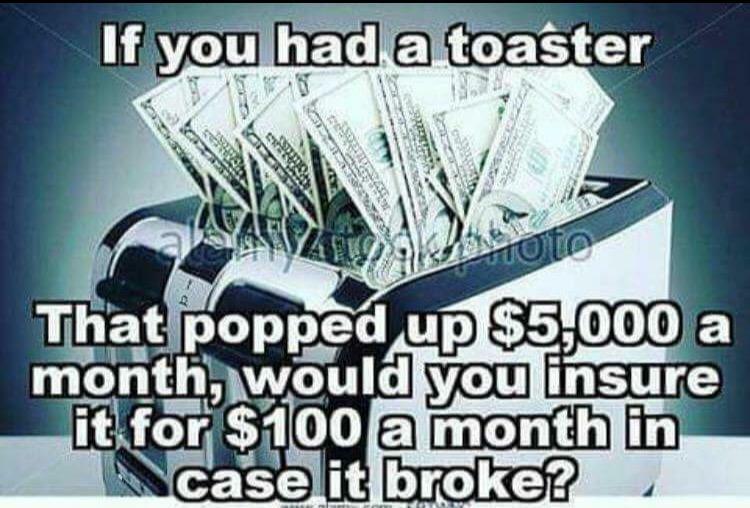 Spend the same money, would rather end up with $50,000 or $222,288? PFSL Fund Management Ltd appoints AGF investments as an additional portfolio manager. Primerica celebrates 30 years in Canada. Over 45,000 Primericans packed the Lucas Oil stadium in Indianapolis for the 2017 convention! Photo from the RVP meeting at the Indy convention. The majority of the companies 4,800 RVPs were in the room. Primerica announces financial results for the 4th quarter 2016. 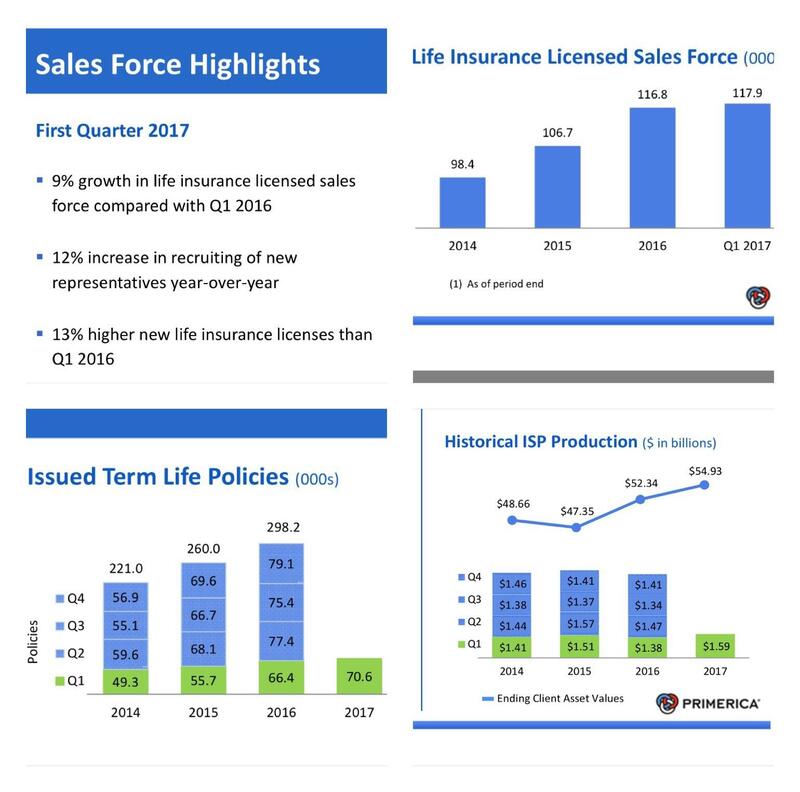 Total revenues increased 11%, issued life insurance policies grew by 14% and insurance licensed representatives grew by 9% to 116,827. 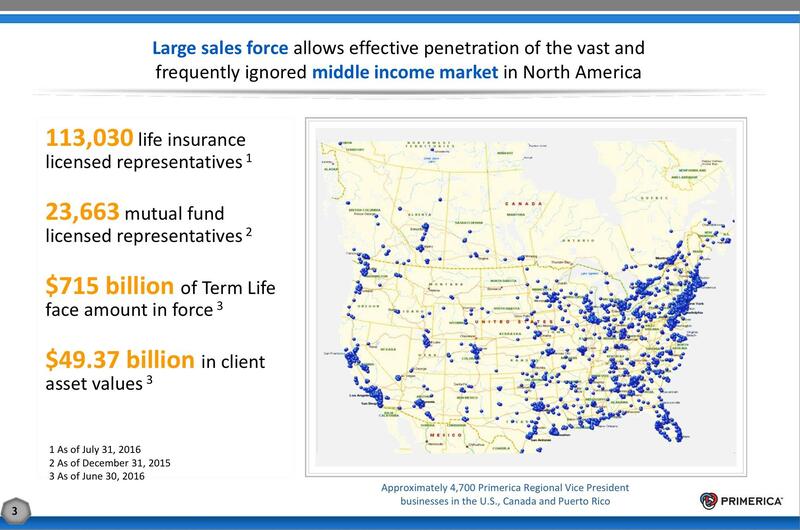 Wall Street has shown a keen interest in Primerica's main street strategy, as evidenced by seven straight quarters of rising fund ownership and a B Accumulation/Distribution Rating. 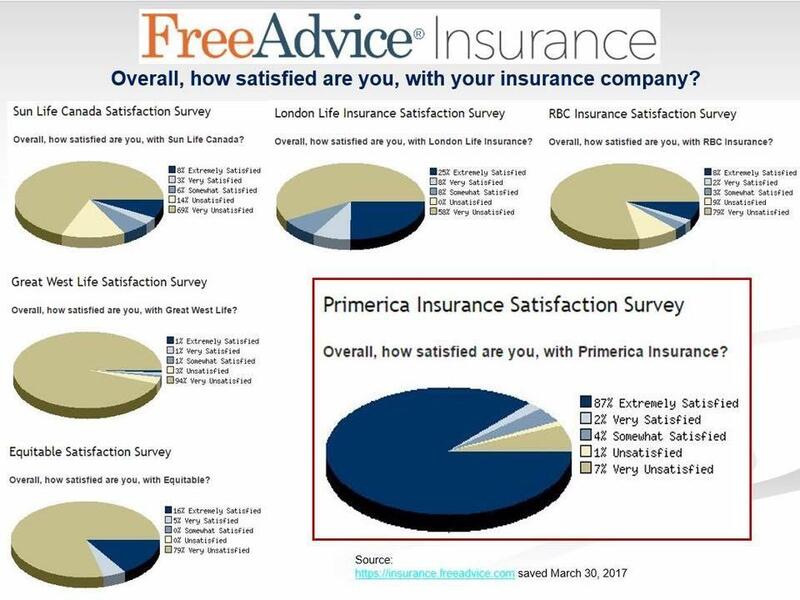 Primerica's 97 Composite Rating earns top billing among the life insurance industry. 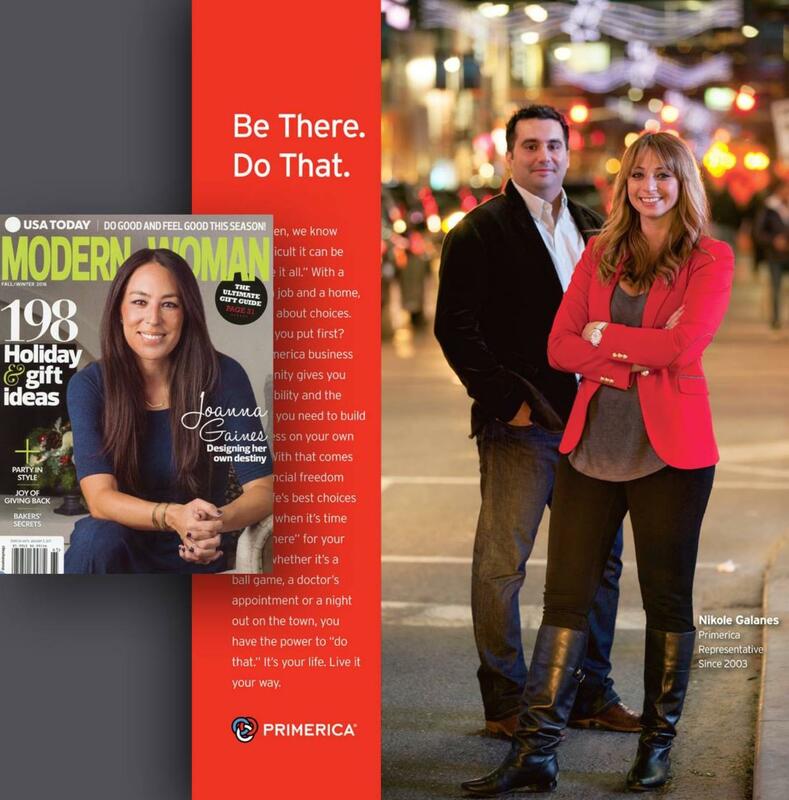 Check out Primerica's ad in USA Today's Modern Woman magazine, available now on newsstands everywhere! Primerica, Inc. Announces 14% Advance In Q1 Profit. The company is doing everything it can to help clients in the affected areas. Check your POL if you have clients in Texas. A picture I took at the San Diego securities trip. The company shut down the USS Midway for a Primerica party. They treated us like gold! 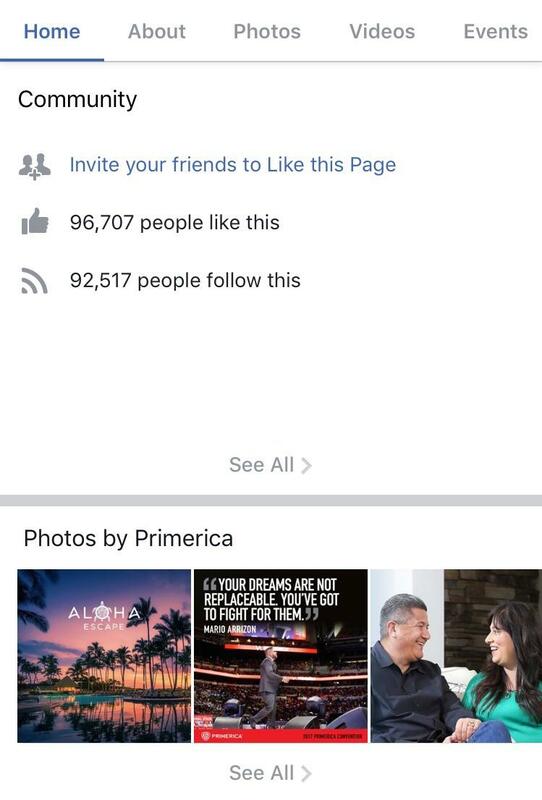 Primerica is about to cross 100k Facebook likes! What Primerica leader has had the great impact on you and your business? Primerica Inc. (PRI) Stock receives a "buy" rating from analysts. 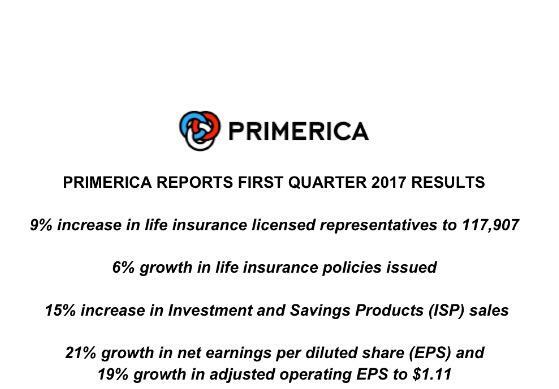 Primerica reports 1st quarter 2017 earnings. 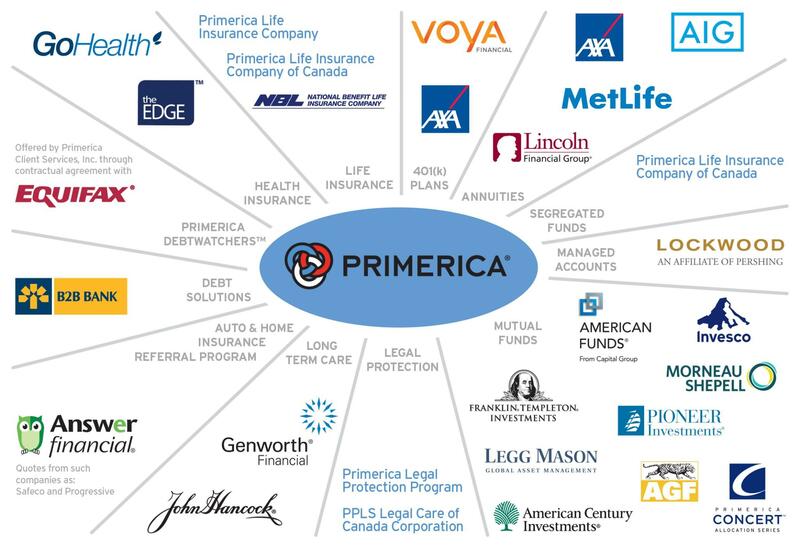 A list of all the organizations that do business with Primerica. Primerica duo Ian & Jessica Prukner give back to orphans in India. 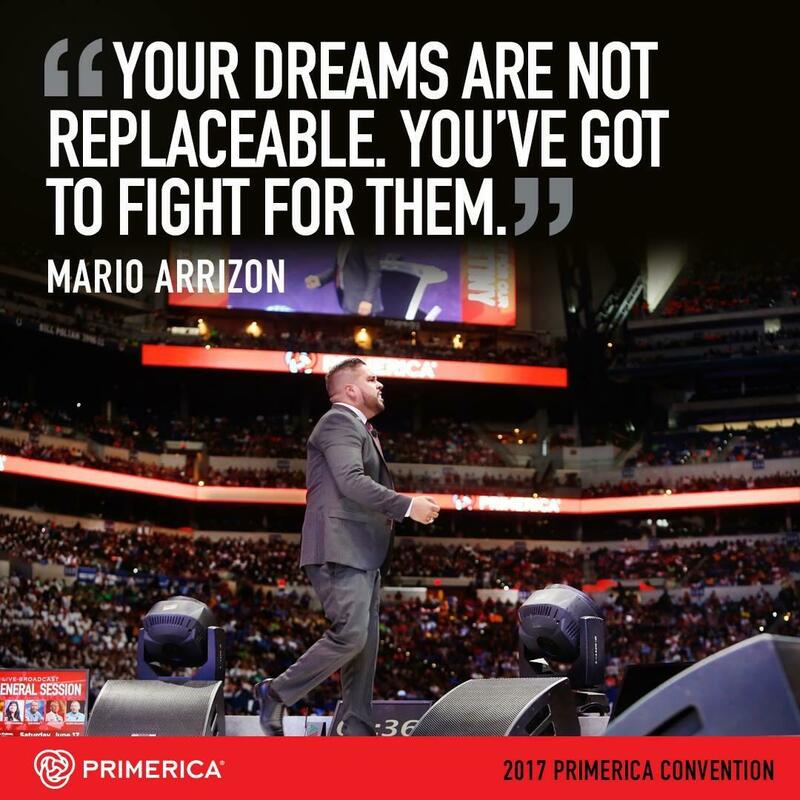 Primerica announced it has selected Indianapolis, Indiana as the site for its 2017 Convention, an event that will attracting over 50,000 attendees to the Indianapolis Convention Center and Lucas Oil Stadium, June 14-17, 2017. Should Value Investors Consider Primerica (PRI) Stock? Saw these awesome vending machines while touring home office last month. 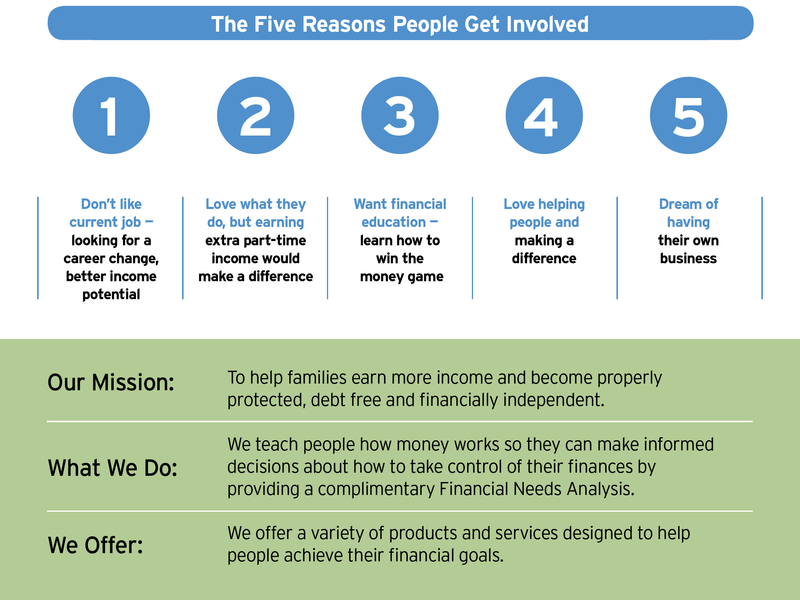 Primerica has been growing rapidly the past several years. More licensed people = more financially independent families! 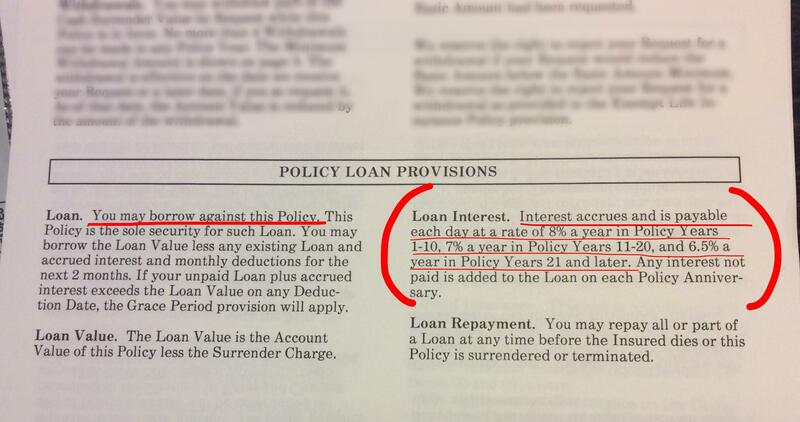 Banks sell mortgage insurance, but independent experts say you should buy Term life insurance instead. Primerica stock now trading at $94+ per share. 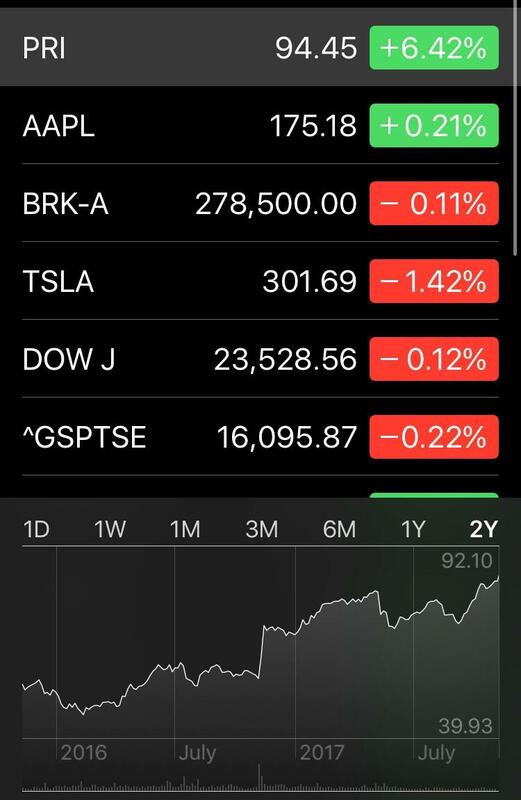 That’s a new all time high! Independent analysis of the top 25 insurance companies in the US. 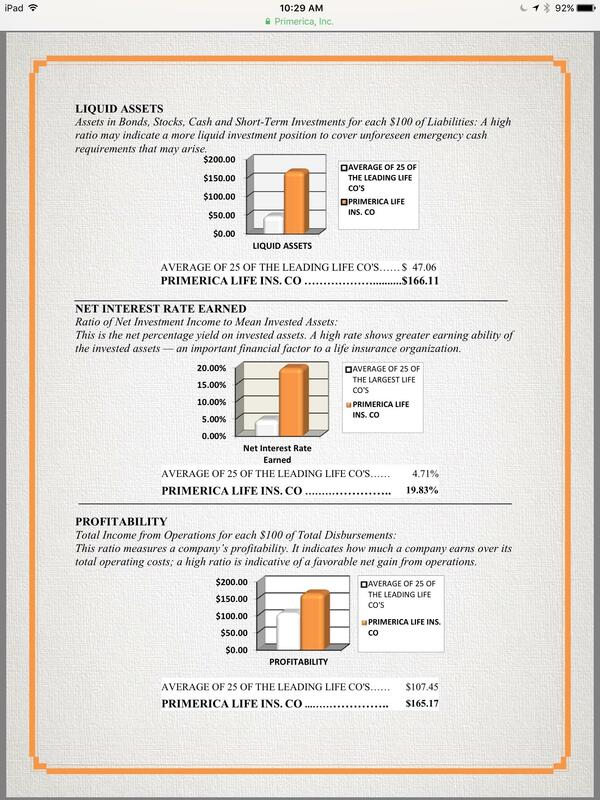 Primerica ranks #1 overall in financial stability and solvency (Page 2). Primerica is dropping rates while other companies are increasing them! Manulife to increase life insurance rates up to 50%. Primerica started trading at $12 per share in 2010. This week it closed at over $85 per share. Primerica 2nd quarter results far surpass expectations. 14% growth in insurance policies issued. Primerica reports 3rd quarter earnings. Beats earnings estimates by 66%. Universal life policies have always been a horrible investment. Changes to how UL policies are taxed in Canada will make policies more expensive and reduce death benefits.